At Easter we did a fair bit of travelling as we caught up with family. We took the opportunity to get out on some backroads and do some exploring. Lets face it, while the Hume Highway is a great for a quick trip when you want to get from A to B, it’s absolutely boring as batshit to drive. Plus the country towns off the main road have the best op shops! Here’s some of the interesting finds we found along the way. 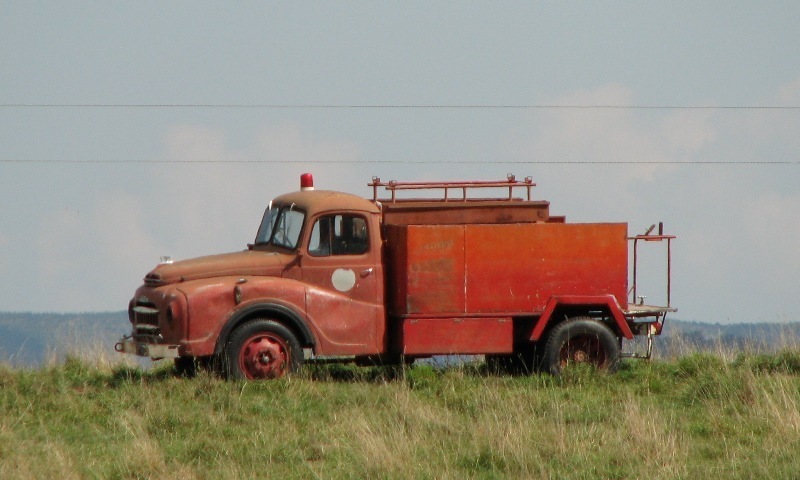 Neat old fire truck was sittin’ all alone on the ridgeline in the paddock. It looks to be very complete and in reasonable condition. This piece of old tin was doing landscaping duties next to the roadside. The perils of old tin hunting! We saw some cool old rides in a paddock and I pulled over to get a closer look. 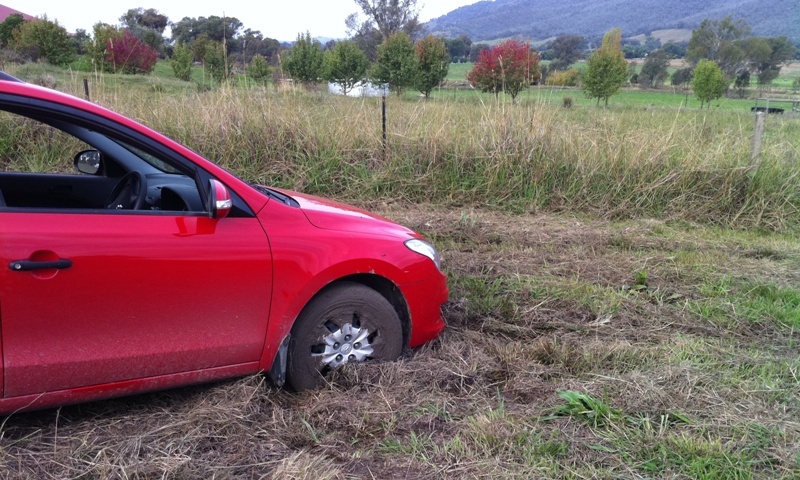 What I didn’t see was the mushy drainage line, and when I realised it was too late to get out of it. In what could only be described as arsey-luck, the owner of the old tin just so happened to own a tow truck and graciously pulled us out. We didn’t have anything to say thanks at the time, but a couple of days later the beer fairy might have dropped a six pack on his doorstep. 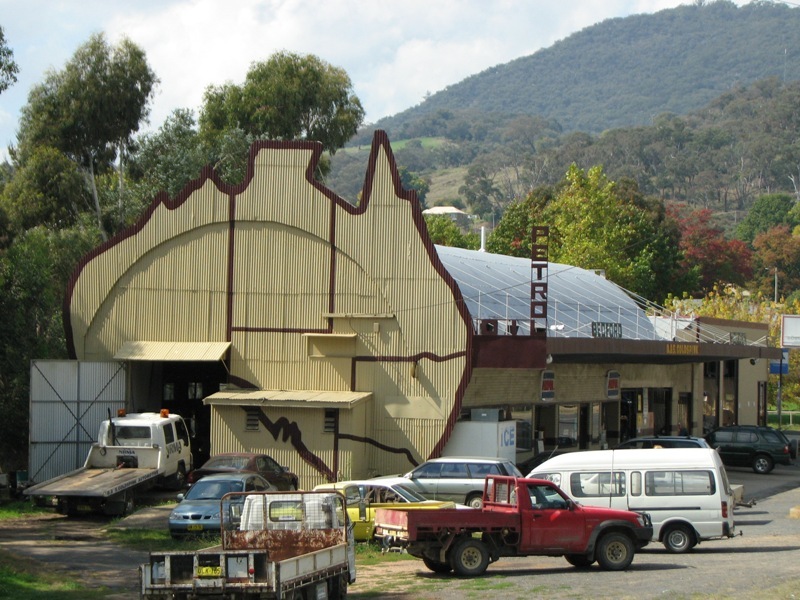 What could say Australiana roadside kitsch better then a nissen hut garage with an Australia map cutout on the end? 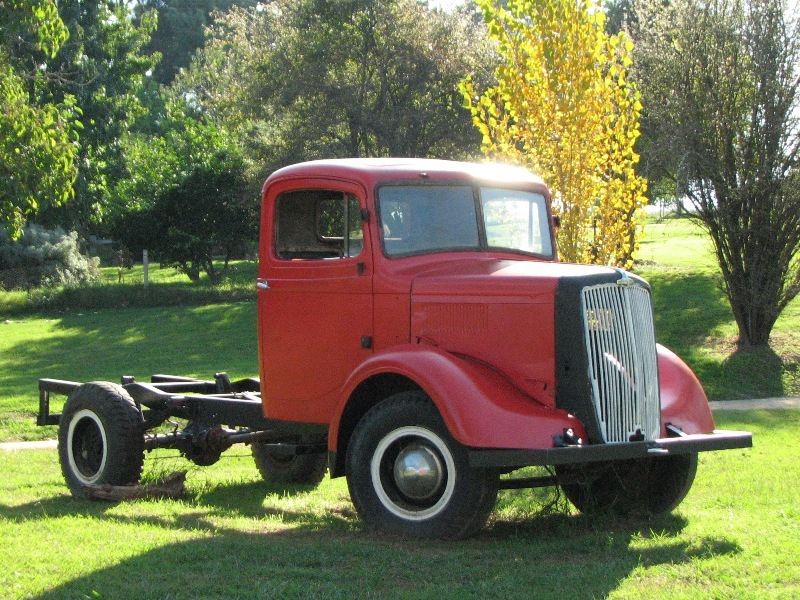 This beauty was spotted in Tumbarumba. 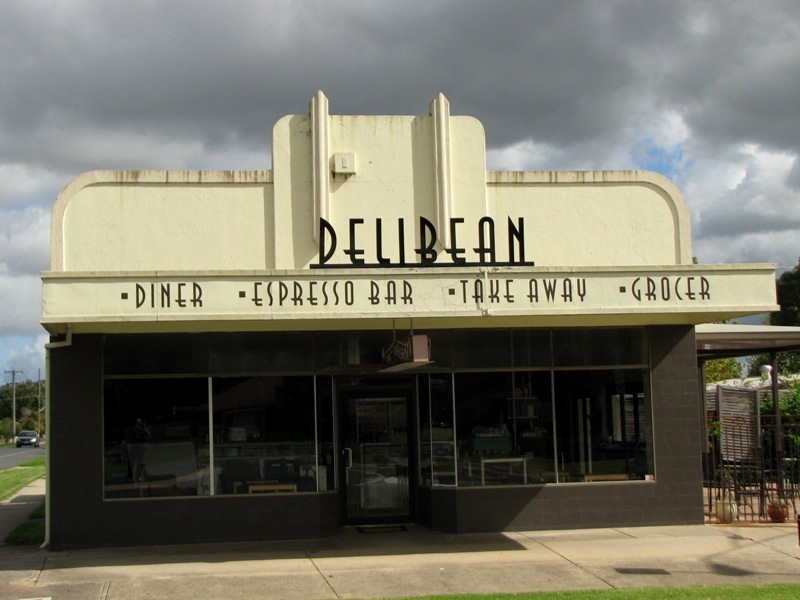 Very neat art deco cafe in Wodonga. I love the fact they’ve embraced the art deco heritage in the signage. 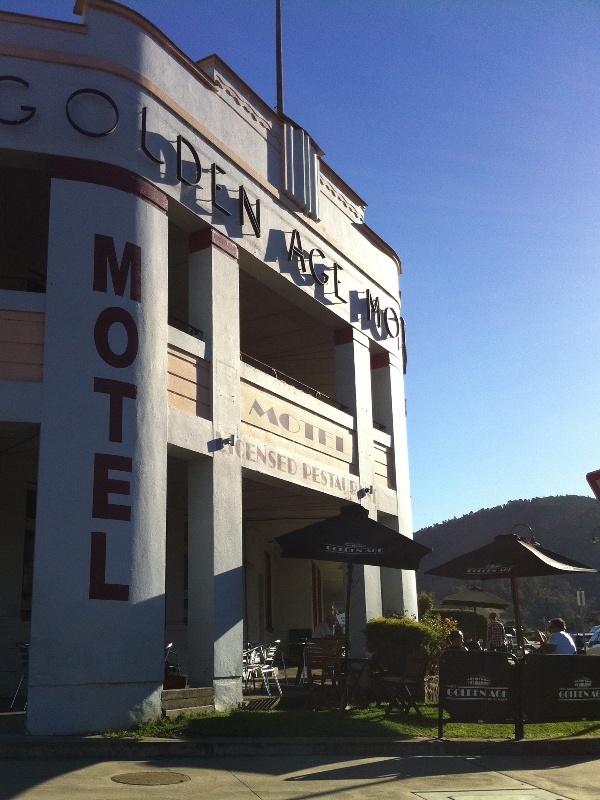 A really bad angle showing a neat art deco pub in Omeo in the high country. Note to self – make the effort to take a decent pic instead of just taking it out the window of the car.